China’s President Xi jinping has warned that a dark shadow is looming over the world after more than 50 years of peace following North Korea’s sixth atomic test. 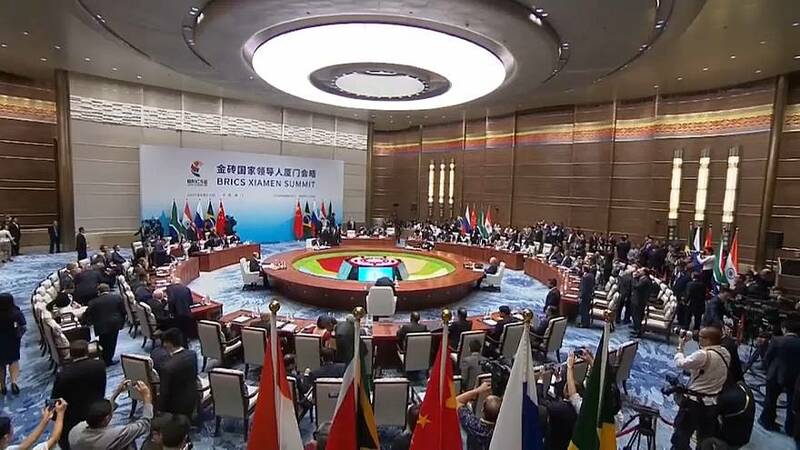 Playing host to a BRICS summit in the city of Ximen, the Chinese president tried to stick to economic issues in the wake of Sunday’s thermonuclear detonation despite mounting international pressure to do more about Pyongyang. Donald Trump has repeatedly blamed Beijing for failing to do more to rein in North Korea, and appeared to do so again in a tweet, threatening to cut trade with countries that continue to deal with the reclusive nation. While China accounts for roughly 90 percent of North Korea’s international trade, that figure is dwarfed by the business done between the US and China. Experts however say halting commerce between the world’s two largest economies would be near to impossible.